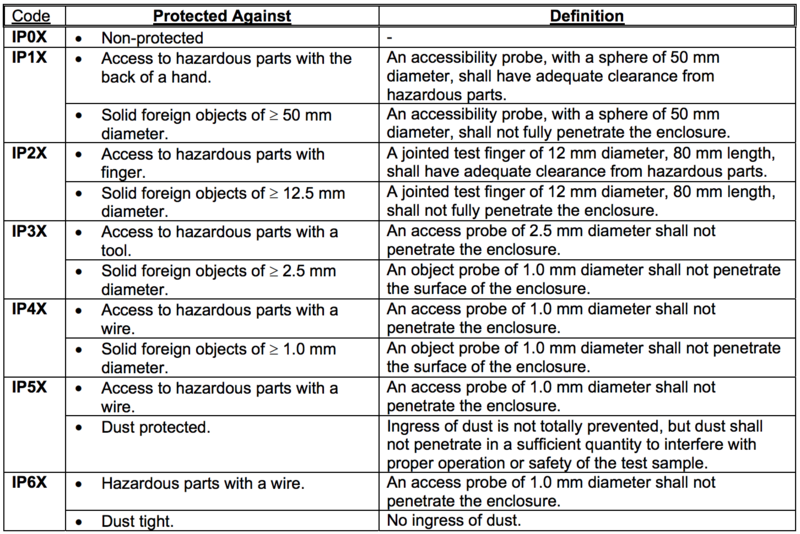 An overview of Ingress Protection (IP) Ratings from CertifiGroup per IEC60529-1, EN60529-1, and similar standards. Examples: IP54, IP62, IP4X, IPX3…. 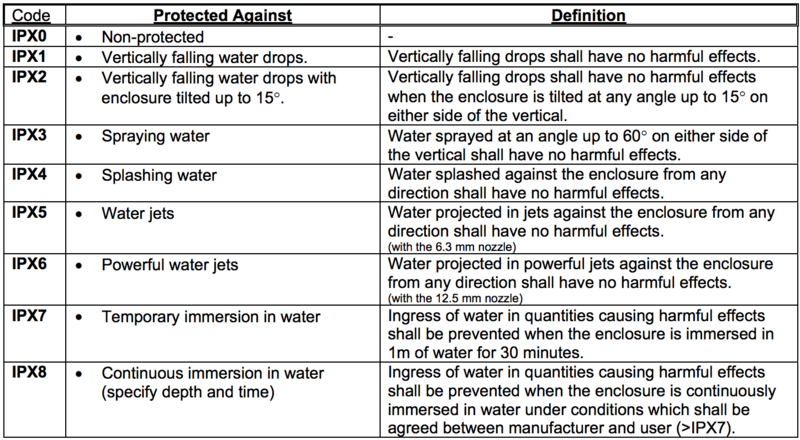 Minimum IP code level required is defined by the end product standard based onthe intended product environment.